Come and Sing-A-Long to Annie's adventures in a room filled with Regent Theatre regulars, your friends and family! Groups (8-or-more): $9.00 per seat with NO FEES. Regent Theatre Members: $8.00 per seat with NO FEES. Warm up your vocal chords and get ready to SING ALONG! 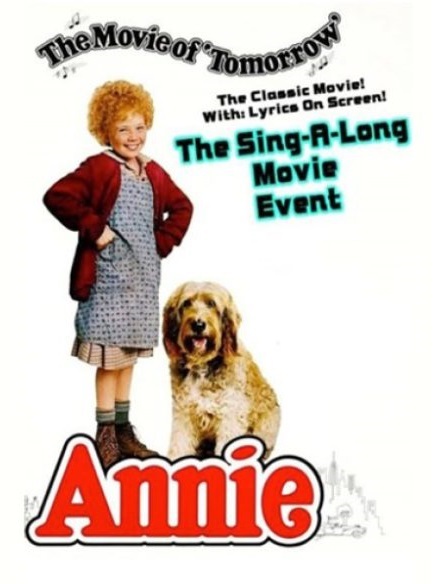 as Little Orphan Annie escapes from mean Miss Hannigan and into the heart of Daddy Warbucks’ in this Sing-Along version of the 1982 movie starring Albert Finney, Carol Burnett and Aileen Quinn as Annie! This karaoke-style version is best enjoyed in costume, so dress up as your favorite Annie character and come prepared to sing along with all your friends in the Classic Regent Theatre Tradition!